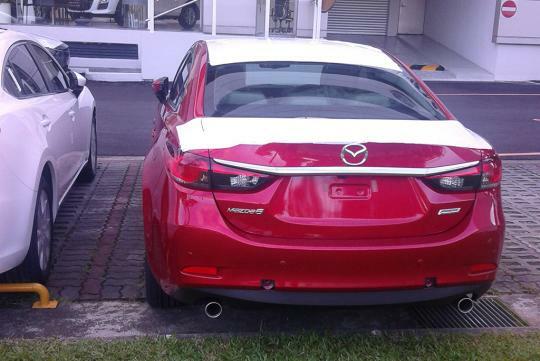 The 2013 Mazda6 was previously reported to arrive before Christmas of 2012 but it did not happen. However, the wait is over. 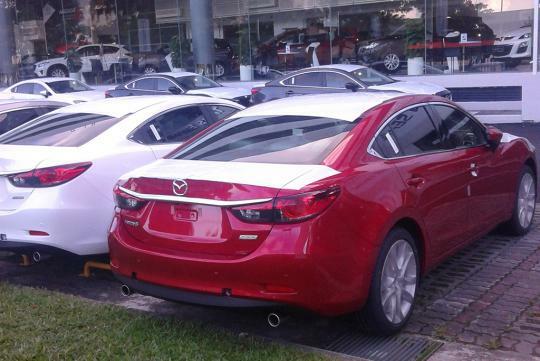 I happened to take a bus along Eunos Link and saw a batch of spanking new Mazda6 saloons in Trans Eurokars showroom at Ubi Close. 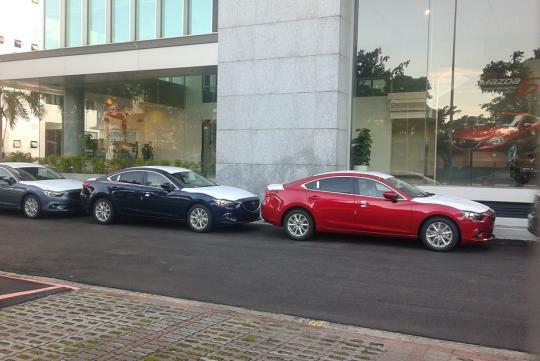 A visit to Mazda Singapore�s Facebook reveals that the official launch of the all new Mazda6 will take place at the end of February 2013. The latest Mazda6 is inspired by the brand's KODO design language and is the production model of the Mazda Takeri concept which was first showcased at the 2011 Tokyo Motor Show. The car's driving dynamics aim to provide an exhilarating driving experience and to achieve that, it benefits from a range SKYACTIV technology found in the body, chassis and power train. The robust SKYACTIV-Body structure makes wider use of ultra-high tensile steel, contributing to weight reduction while improving torsional rigidity by about 30%. Under the hood, the Mazda 6 is available with the SKYACTIV-G petrol power plant in 2.0-litre or 2.5 litre capacity. Both engines are mated to a six-speed SKYACTIV-Drive automatic transmission. The 2.0 and 2.5-litre engines produce 150bhp and 200bhp respectively. 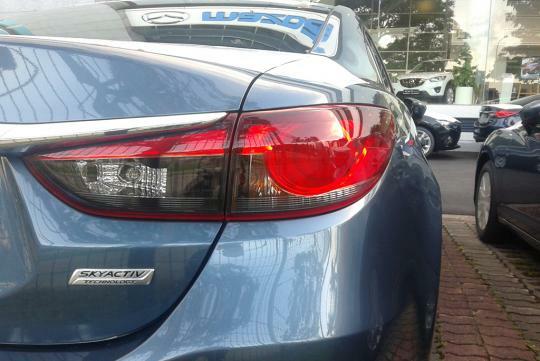 A 2.2-litre SKYACTIV diesel is also available. The new Mazda6 is one of the more stylish mid-sized sedans to come out of Japan in recent memory. If you can't wait to see the car at the official launch, do drop by Ubi Close. 2.5 version not 200Bhp,just produced 185 Bhp. Only 6 speed Auto,this car not for petrolheads,wait next year,there is a MPS6 coming,turbocharged. Mmm... Love the Estate version. That long chrome strip above the number plate makes it look outdated.